My patients always ask me when is your busy season? Our busy season is actually all year long, it's the pathologies that we treat that vary between seasons. In the summer time, warts and heel pain are extremely common. This is mostly because of the nature of our shoe gear during the summer season. Flip flops do not provide support or protection to our feet. 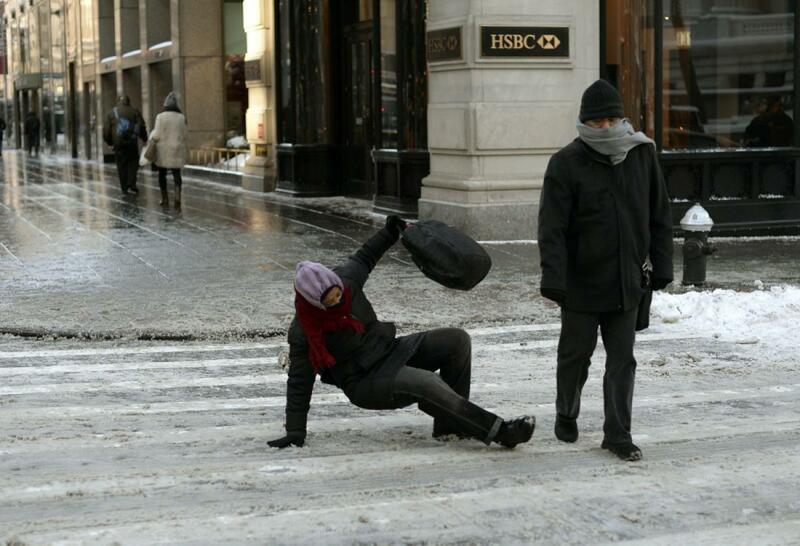 Conversely, in the winter, slip and falls are common and therefore sprains and breaks. The black ice and snowy conditions are difficult to avoid during the winter days. If you have to go out make sure you take extra care during the early morning hours and late evening hours. In addition, wear supportive shoe gear that have good tread and adequate ankle support. If you have to wear nice shoes to work, you may want to change into these shoes at work and wear a supportive shoe for your travels. If you do experience an injury, please make sure to see your doctor immediately. Proper treatment is key to preventing future aches and pains! If you have any questions about treatment options, please make an appointment today.